My favorite new celebrity, now dubbed "Tsunami Fish" (Couldn't they come up with a better name? Tsu? Nami? Flotsam?) is officially on display at the Seaside Aquarium. 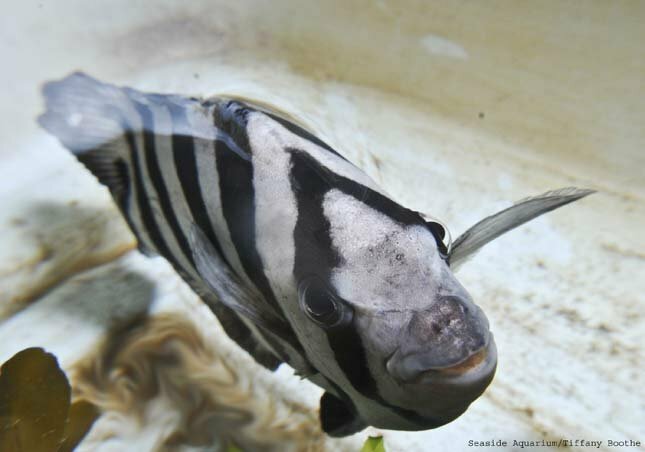 The small rock bream, or striped beakfish that recently made its way from Asia to Oregon amid a piece of tsunami debris has been place on exhibit at the Seaside Aquarium. He is the only surviving member of the group of five live fish that made the journey across the Pacific. If you'd like to go see him or learn more about the aquarium, visit SeasideAquarium.com.